No, that’s not my trick, Micheal. It’s my illusion! 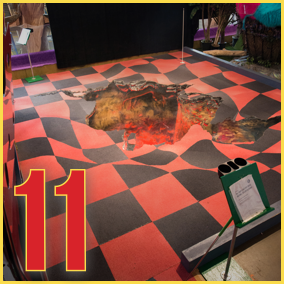 Inspired by the world-famous illusionist, Gob Bluth, this course features a floor of hot lava. Or is it? When you’re done playing, stand at the edge of the lava and have a friend take a photo from the tee box. You’ll look like the lava is coming right for you.